Take a break from your modern Monday and head to Retronaut for a gallery of ‘celebrities and their vinyl’. The black and white images include John Lennon, Audrey Hepburn, Jack Nicholson and Jimi Hendrix, and looking at them gives me a Nostalgia Stomach Ache. In a good way. 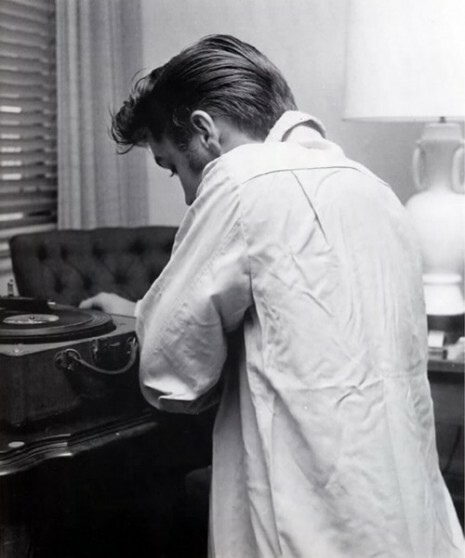 I particularly like this picture of Elvis… Might be my favourite Presley portrait.